In this quick review we analyze the Bitclub Advantage investment program. According to the Bitclub Advantage website the main feature of this program is the Bitclub Advantage Academy that will teach you how to trade cryptocurrencies profitably. You will allegedly be able to become a professional trader thanks to other professional traders who will teach you what they know. Teaching people how to trade is investment advice. And this is a regulated activity that requires a licence in most countries. 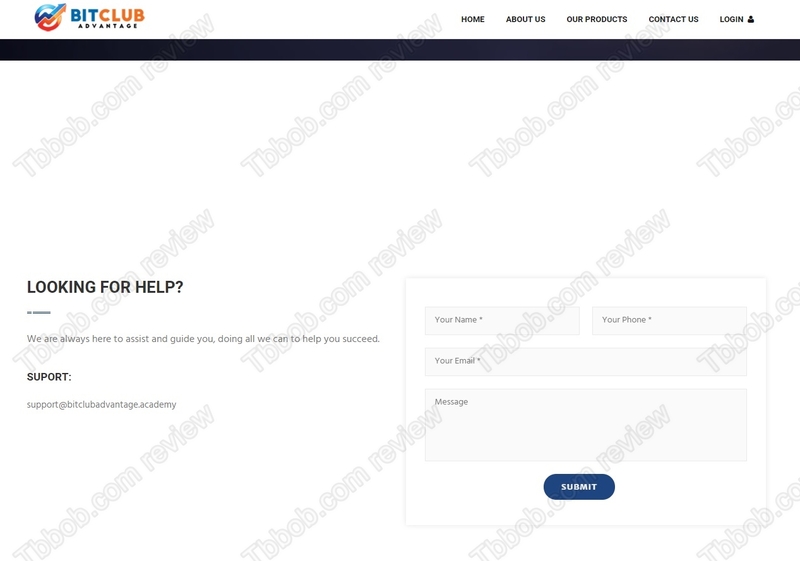 We investigated about the Bitclub Advantage Academy and found no information about any licence. No only that, the academy does not even provide contact information! This means that Bitclub Advantage Academy is an illegal service. But when you sign up, you will discover even more. Bitclub Advantage is in fact an investment service, because it wants you to buy investment packages that are supposed to earn you money. Investment services are of course regulated too, but again, Bitclub Advantage is totally anonymous and doesn’t have any licence, therefore it is also an illegal investment service. Remember that with these unlicensed investment services your money is not protected in any way and should you run into problems, nobody will be able to help you. Bitclub Advantage is an illegal investment service that can run away with your money anytime. Stay away. If you want to try and make money in cryptocurrencies trading, start on a free demo account with a regulated broker. Don’t count on anybody for making you money for free, it just won’t happen.